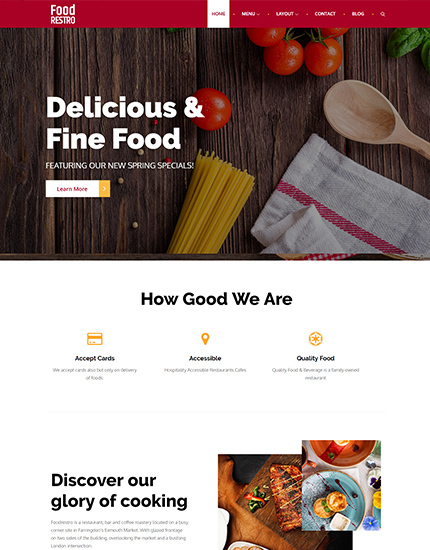 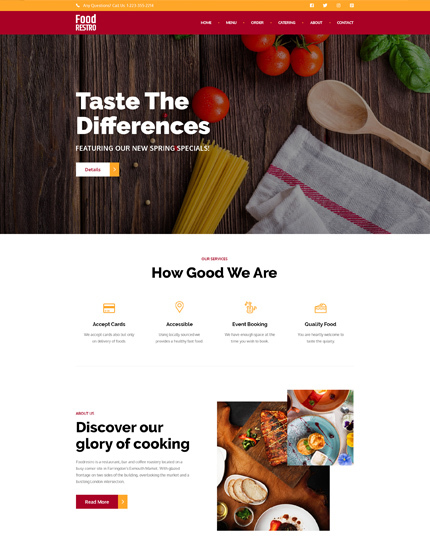 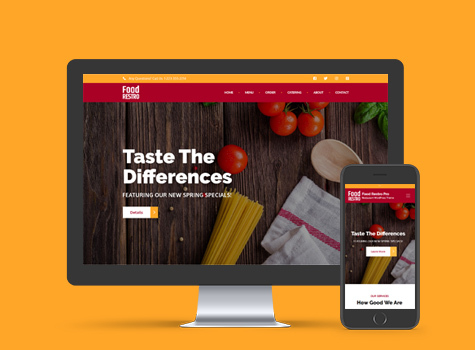 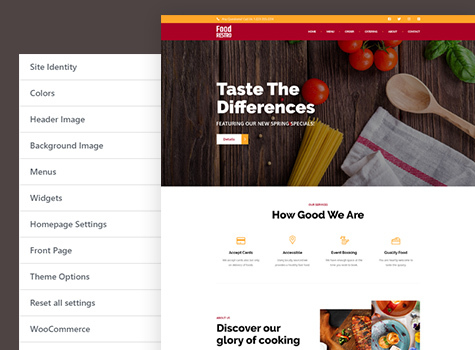 Food Restro Pro is a beautiful and very attractive, polished and professional, robust and easy to use, highly responsive restaurant WordPress theme.And one of the efficient ways to drive more customers to your business is creating an attractive and engaging restaurant website. 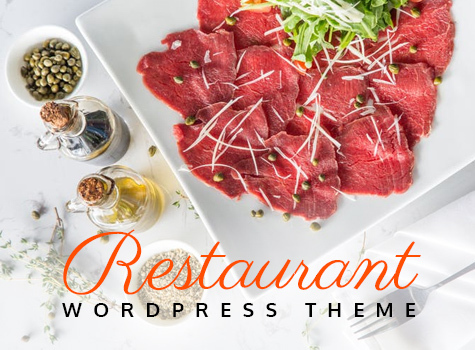 Having a website is crucial in promoting your restaurant since a lot of people check out the restaurants business before visiting the actual place. 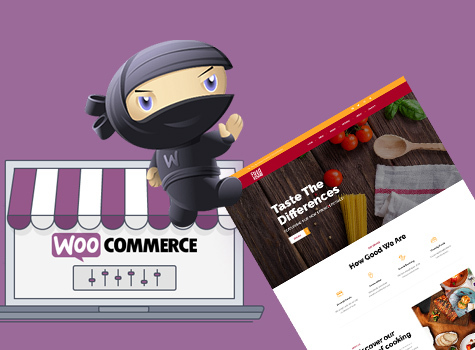 Woocommerce is number one when it comes to making secure payments when you have a WordPress website and isn’t it just delightful that it makes your services easy and accessible for your customers and on top of it, easy to manage for you; from bookings, payments and orders, what else would you love?